Could the secret to happiness be the Mayan Palace Vacation Club? Quite possibly! Owned by Grupo Vidanta, a premier developer of Mexico timeshare resorts, hotels, and golf courses, Mayan Palace Vacation Club offers an exciting dimension in elegant—and easy—vacationing, guaranteed to send your happiness meter soaring every time you visit. From Acapulco to Puerto Vallarta and the Riviera Maya to Mazatlán, you’ll find Mayan Place Mexico timeshare destinations thoughtfully created to take your breath away with their elegance and beauty, both in their design and their spectacular natural settings. Mayan Palace Vacation Club membership can be your entrée to Mexico timeshares and vacations that are simple to plan, safe, and delightfully sophisticated. Where Can Your Mayan Palace Vacation Club Membership Take You? 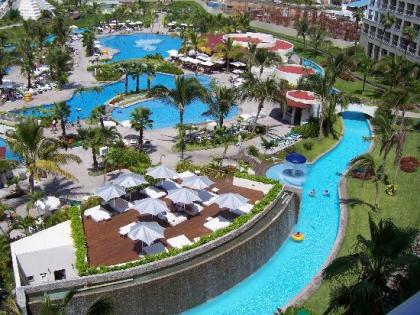 Grupo Vidanta (owners of Mayan Palace) is recognized as an innovator in the resort and leisure industry. Their magnificent properties have magnetically drawn vacationers, creating brand followers and new vacation destinations while concurrently enriching urban infrastructures and both urban and rural real estate development throughout Mexico. The Vacation Club of Mayan Palace is one more way that Group Vidanta serves the marketplace of those who love luxury vacations and ease of vacation planning. Club memberships function much like traditional timeshare ownership, and because owning timeshare in Mexico can be structured differently than many U.S. timeshares, clubs offer a convenient way for many couples and families to enjoy the very best in Mexico vacations. Imagine becoming a club member as a young couple (or young at heart couple) and returning for romantic getaways in Mexico vacation resorts year after year. Now imagine doing so at the affordable discounts and values found only in the resale marketplace. 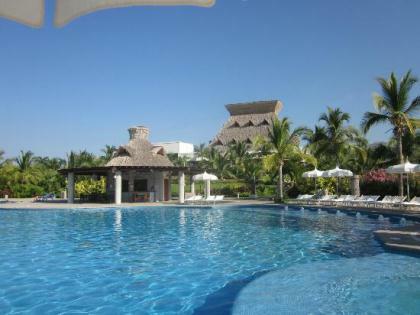 At BuyaTimeshare.com, we understand the nuances of vacation club memberships and vacation ownership in Mexico. We know how to help you find the best value for your money whether you choose to buy or rent a timeshare in Mexico or you are interested in the freedom and fun that goes with Mexican vacation club membership. We are here to help you. Contact us. We’re certain there is a beach chair and a tall cool drink just waiting for you with your resale discounted Mayan Palace vacation club membership. Contact Mayan Palace Vacation Club Specialist Today! Days: / Time: 5:00 P.M.